My friend Debby who got married last year had a very creative wedding. The details had a very personalized touch and a wonderful mix of eastern and western traditions. 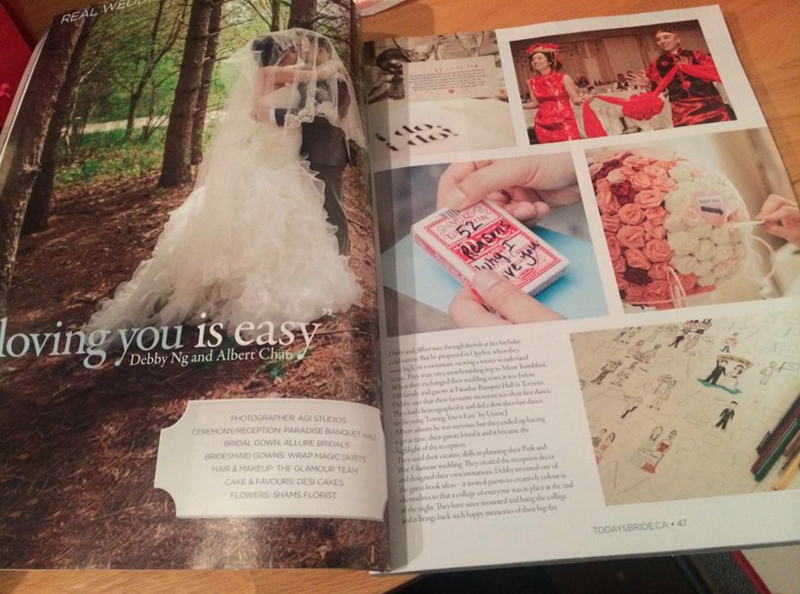 Her wedding is currently featured in the latest print issue of Today’s Bride. The draw-yourself-in guest book (bottom right) was a hoot and I loved the dance number and red ensembles that they wore to the reception.